I like to make lists. I mean, I really like to make lists. If there were a list of all the great list makers in the world, I would be competing to be at the top of that list with one of my most favorite friends, Amber. Perhaps that’s one reason why we are such good friends. We both make lists, penned in Sharpie, of course, and are proud of said lists. 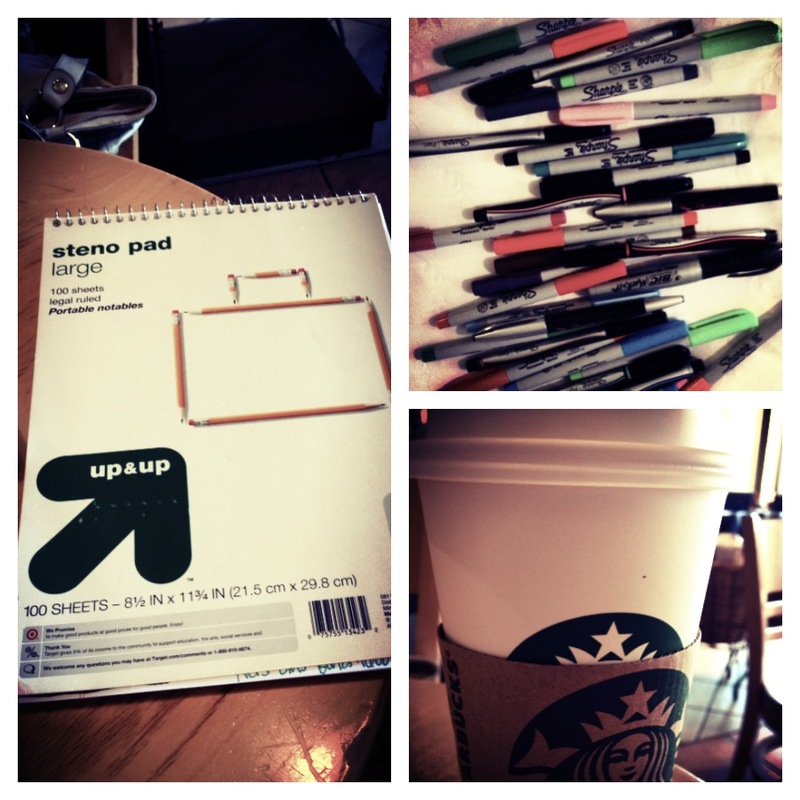 This morning was a typical Tuesday, complete with coffee, Sharpies and a steno pad. I made my list, this time with an aqua-ish marker, and picked an extra thick black one to cross off tasks completed. The day started with gusto, I was filled with determination to plow through as much as possible – and not just the easy, mundane fun things. I was going to be able to mark off a few lingering projects that have been written and re-written on my list for days or weeks. I was going to be productive. Extra productive. But before the last sip of coffee was gone, my motivation had disappeared. I’m not sure where it went, but it was gone. I talked to an old friend. I folded some laundry. I went down to the gym and did what little “workout ” I could do without my current physical therapist without my physical therapist looking at me with disappointment when I go see him tomorrow. They were all things on my list, but nothing that was all that worthy of the big Sharpie ready and waiting to blackout those bigger tasks at hands. It has been one of the most unproductive workdays of my life. Sad. Pathetic. Not honoring to my job. I needed to do something. Change something. Accomplish something. I needed to be purposeful. I took little steps to reconfigure my perspective in an attempt to follow through with my commitments and priorities. And on that list, every day, is “BLOG something.” But it’s been weeks since I’ve posted something. I got out of the habit because I stopped doing the little things that position my life to keep writing as a priority. My faith is sometimes like this. I don’t engage in worship without distractions. My prayers are filled with more needless speculation and worry than genuine praise, confession and requests. I read my Bible, but I allow preconceived notions guide my response. I desperately need to be intentional about how I approach my relationship with the Living God not because He will love me less if I don’t or more if I do but rather because when I don’t, I miss out on the the fullness that could be. How might being purposeful or reconfiguring perspective add to the richness of what could be with your day, your relationships and your faith?